Did you know that many of the non-natural fabrics we use (think Rayon and Tencel, among others) are actually created from natural fibers? 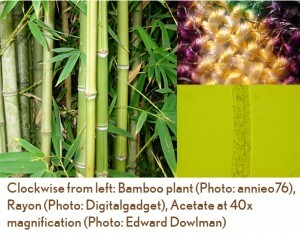 And did you know that bamboo fabric, which is all the rage now, is actually a manufactured, not a natural, material? If not, you might be interested in my post this month on the BurdaStyle blog.